I've said it before and I'll say it again; casters are expensive! Seriously. And if you want vintage metal casters, you may have to take out a second mortgage. For example, when I started to look for vintage industrial casters for my World Market "Aiden" knock-off, I came across these. Pretty cool, huh? The price? A measly $195, not including shipping! Are you kidding?! My whole coffee table was under $150 to build, casters included. 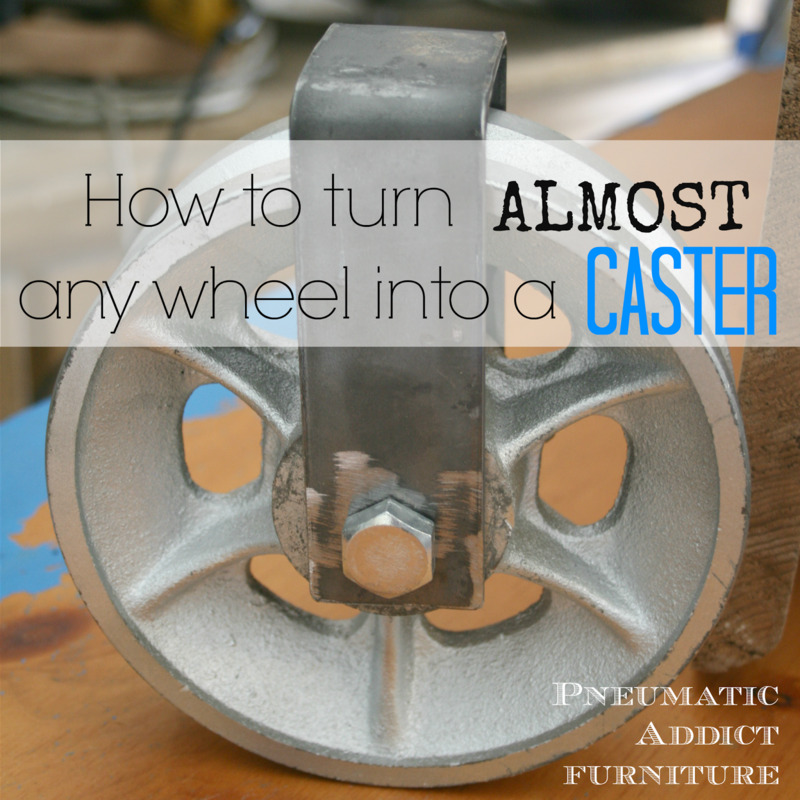 So let me show you how I came up with a much cheaper, and easy solution to make my own casters. To start, you need to find something round to function as a wheel. I've heard some good suggestions such as clothesline wheels, compressor pulley wheels, vintage wagon wheels, etc. I am dreaming up a project that I want to use old barbell weights as wheels. 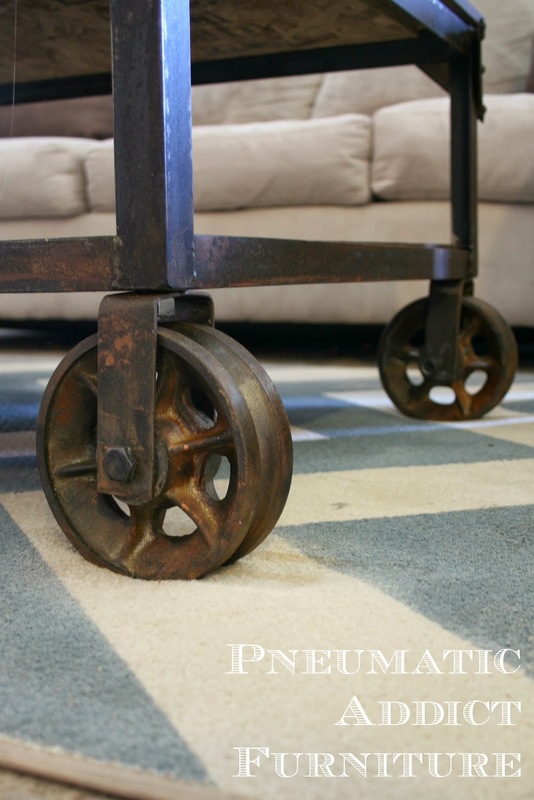 You can get creative, especially if your casters are going to be mostly decorative. I used these industrial v-groove wheels that I found at the steel supply store I bought my angle iron from. $15 each, 6" diameter, 2" wide, and HEAVY as an elephant! Perfect. Next, you need to buy a piece of flat steel. This will become your bracket. The size will depend on your wheel diameter and thickness. 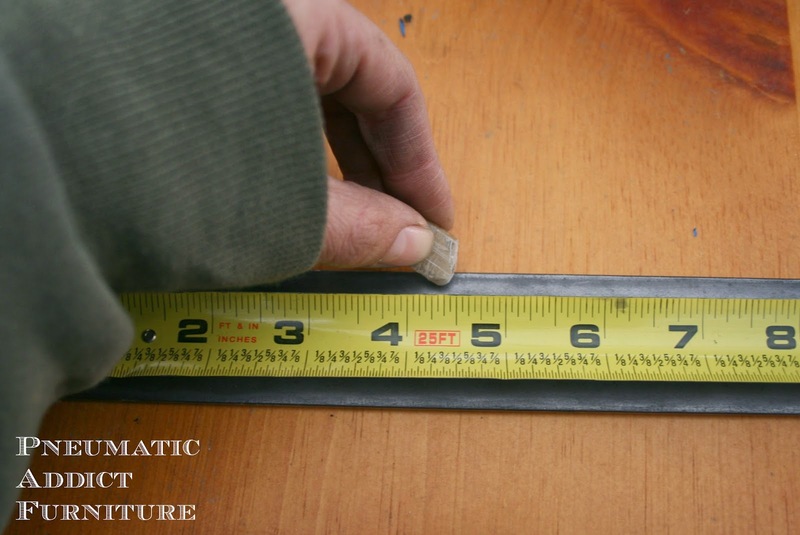 To get an idea of length, measure the radius from the center of your wheel, multiply that by 2, add the width of your wheel, and add about an inch and a half. 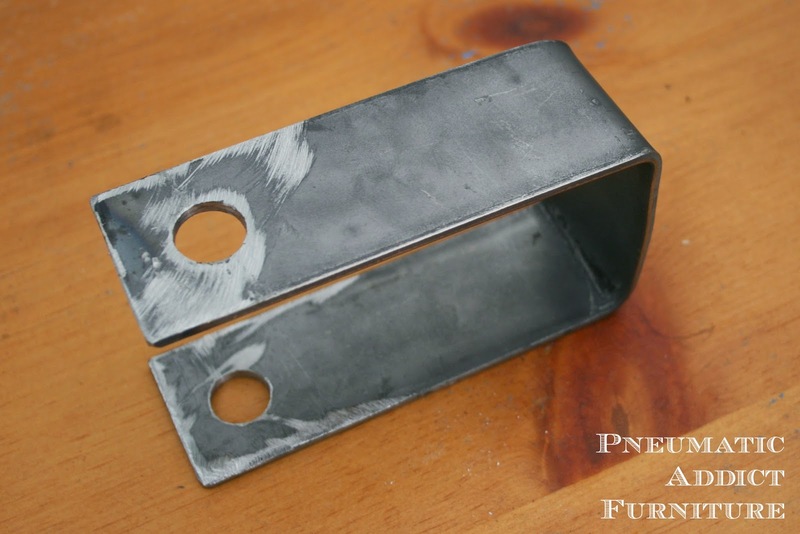 I used a piece of 1/8" thick steel, 1.5" wide and 48" long. It was enough to make brackets for all 4 wheels, plus a little extra. I bought it from Home Depot for around $8. 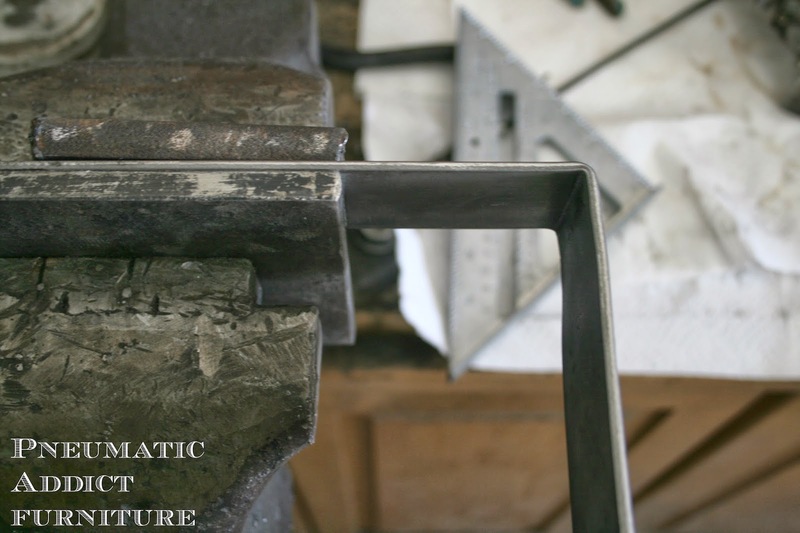 If you want a more contemporary style caster, you could use aluminum instead of steel. 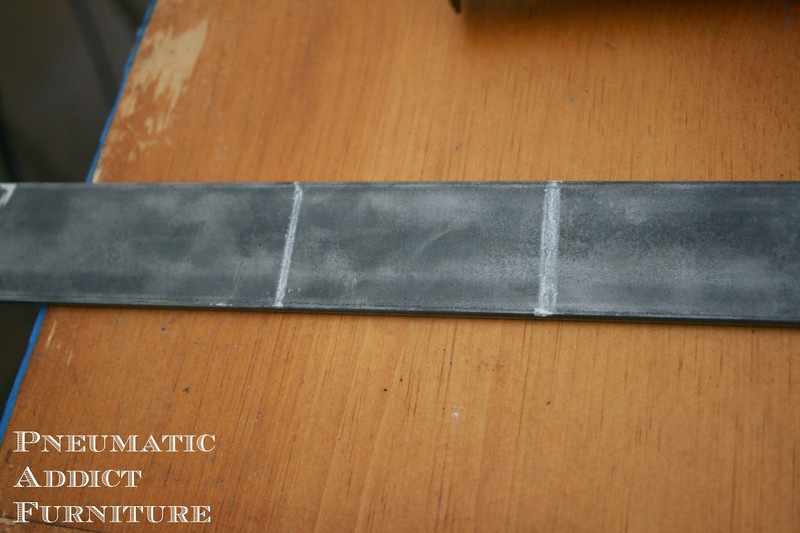 Don't go any thicker than 1/8" material though. Its a waste of money and you will be making your life much harder than it needs to be. First, mark where your first 90 degree bend needed to go. For my wheels, it was at 4 3/8". 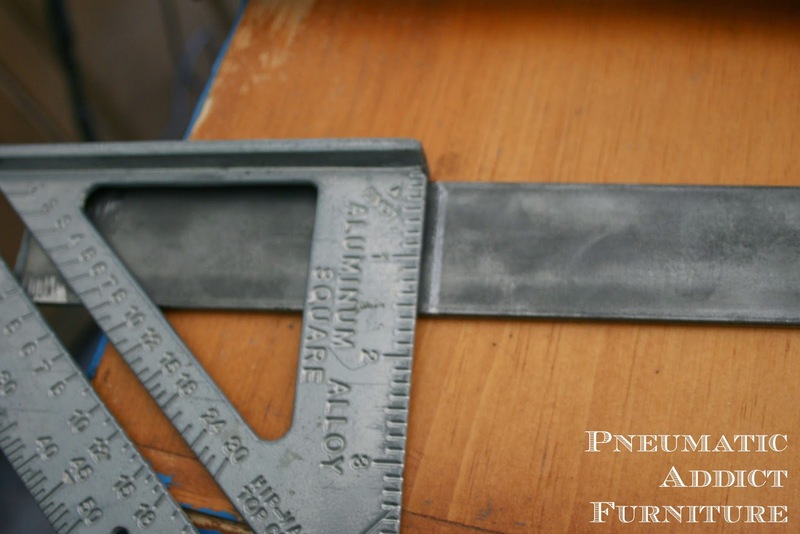 On mine, I measured 2 1/4", allowing for my wheel width, plus a little extra to accommodate movement and the bending steel. Now the fun begins. You will need a bench vise. You could come up with a jig using lots of strong c-clamps on your bench top, if you're cool like that. 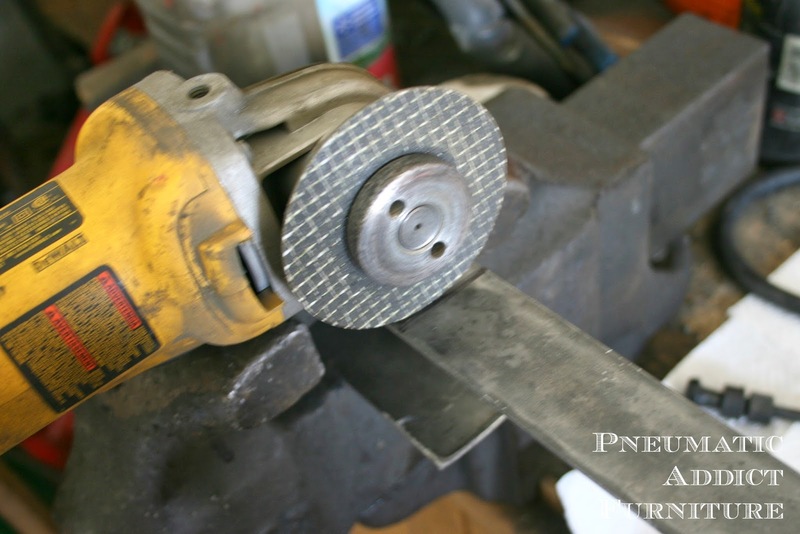 Place 2 heavy, solid, metal plates of the same size in your vise. Sandwich your bracket steel between them, lining up the SECOND line you drew. Trust me, I did this 4 times. Two times I accidentally started with the first mark, and it was a huge pain in the rump! 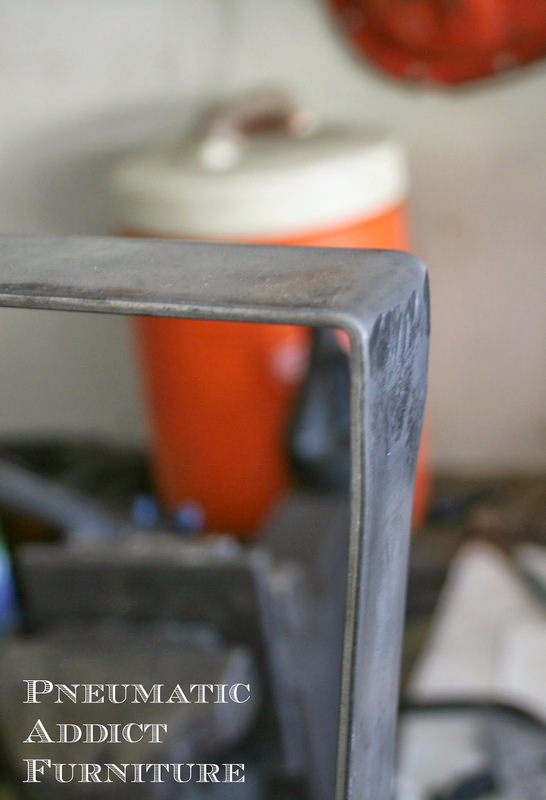 Before you tighten everything down too hard, use a square to make sure your bracket steel is square in your vise. Then, tighten your vise as hard as you can. You don't want anything moving. Now, bend the steel forward, towards you, using even pressure. 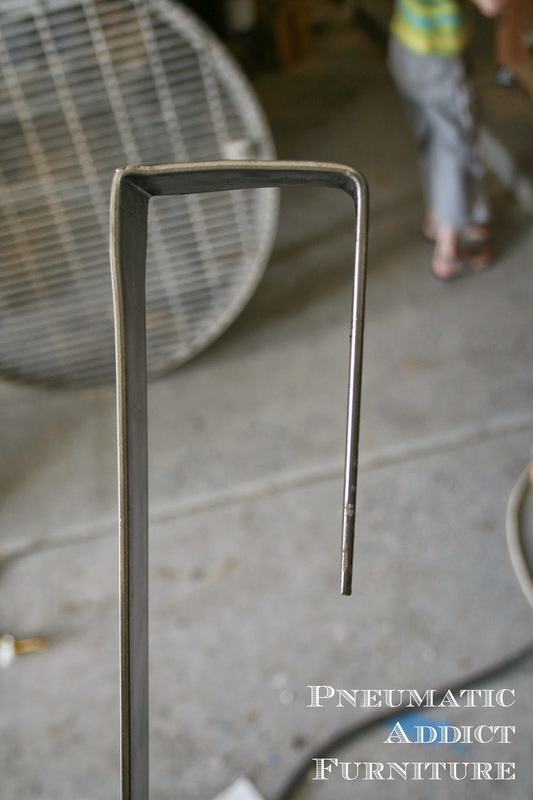 Once you have bent it as far as you can by hand, use a sledge hammer to pound the steel flat, creating a 90 degree bend. Then, pull out your steel, turn it sideways and line up your plates. 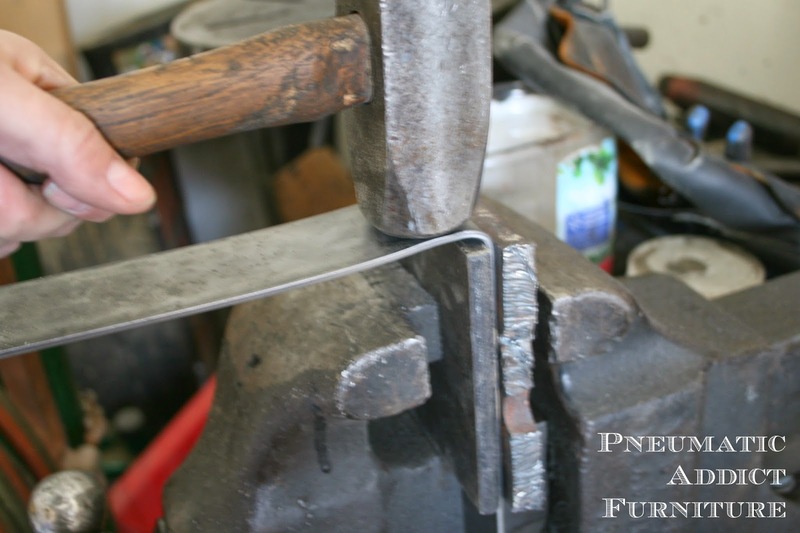 Tighten your vise again, and use your sledge hammer to bend the steel towards the front of the vise. You wont be able to get a super tight angle, but pound it as far as it will go. 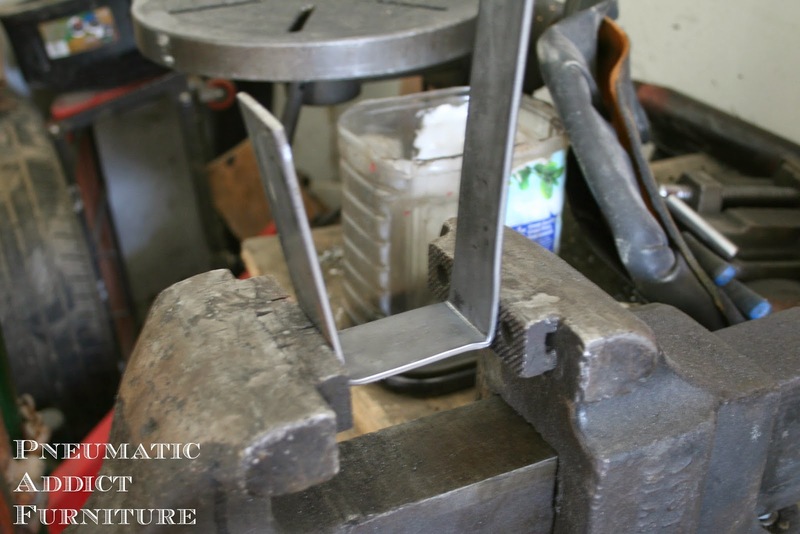 Then, vertically place your bracket in the vise, like the picture below. 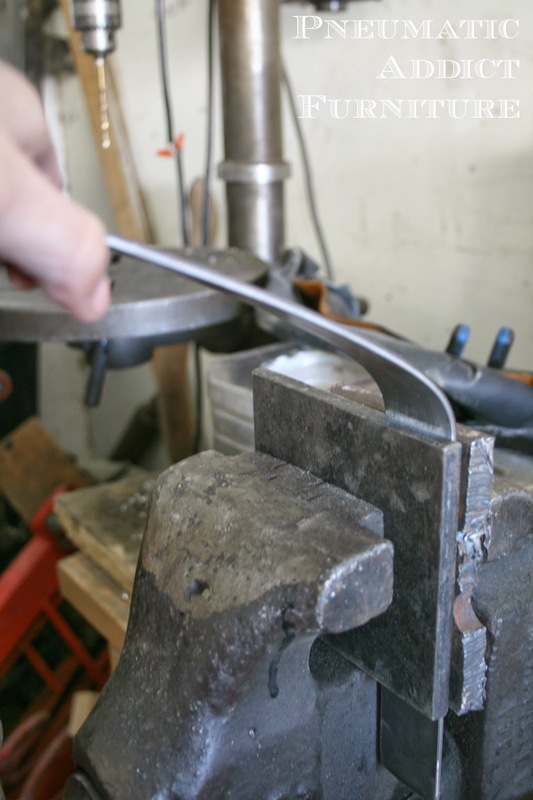 Slowly tighten the vise and it will tighten the angle, bringing the sides closer together. At this point, you should have a shape that look like this. 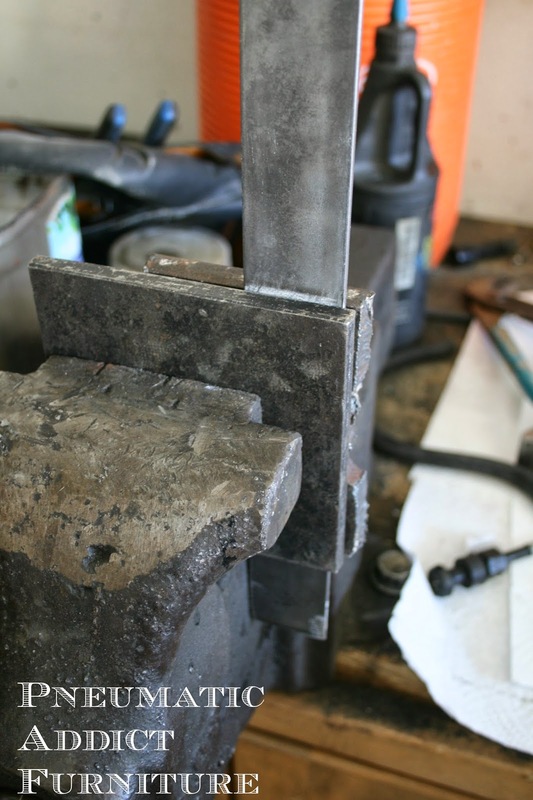 The next step is to clap the bracket into the vise once more and cut off the excess length with an angle grinder. You now have a bracket to fit your wheel. Measure the diameter of the center hole on your wheel. Drill holes the same diameter towards the end of your bracket. This is where you will run a bolt through to function as an axle. You can now test fit the bracket on your wheel. 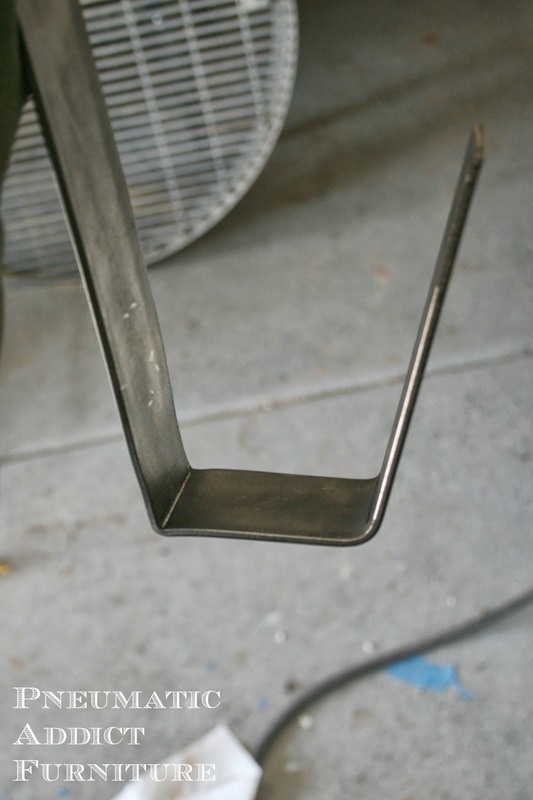 To mount the caster to your furniture, drill another large hole, centered on the top of the bracket. 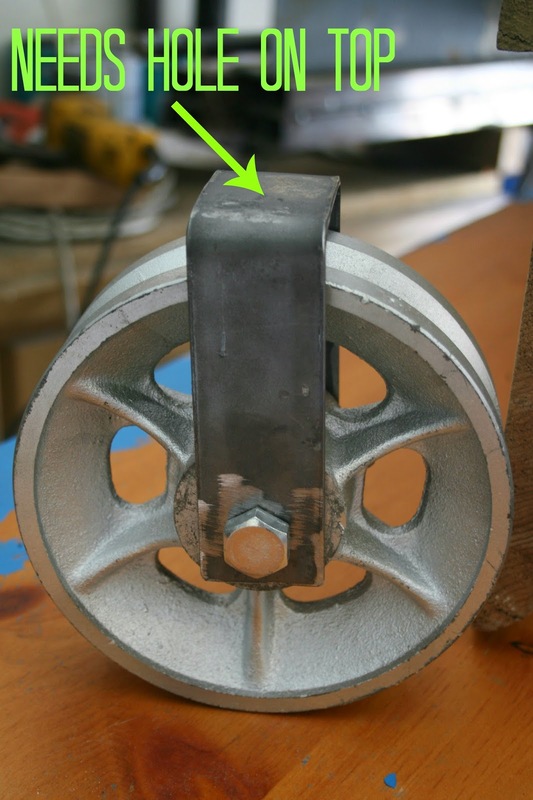 To mount your new casters, first remove the wheels. 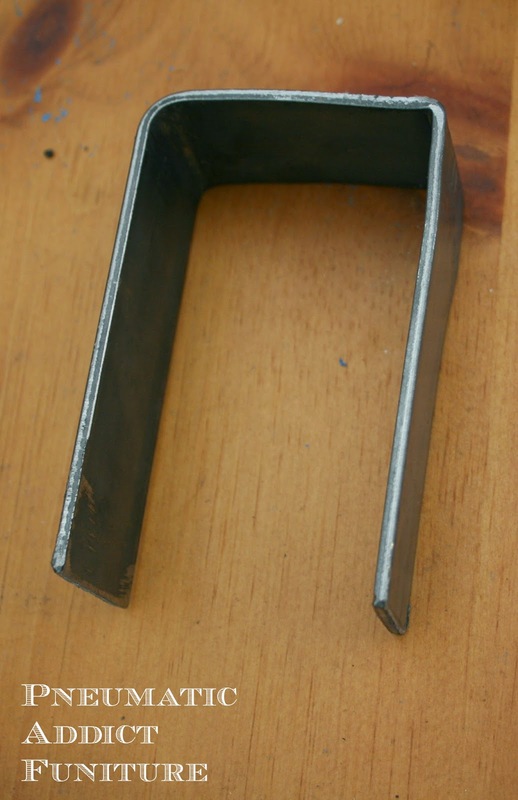 Run a bolt through your furniture, through the top hole in your bracket, and secure it tightly with a washer and nut. Replace the wheels and tighten a washer and nut on the back side of the axle bolt. You now have a cool set of custom casters! Depending on your wheel, bolt, and fit, yours may or may not roll smoothly. Mine roll pretty well with the weight of the table on them. That's just a bonus. I would have been perfectly happy if they didn't roll at all. They could just sit there and look pretty. Altogether, I paid less than $70 for 4, 6" steel casters. Good deal in my book. What do you think? You have any ideas of something cool you could turn into a caster? Who need the Man of Steel? You're the Woman of Steel! Very cool Missy! That was super fun to learn! You are my hero! I love industrial and I love these castors! I am so making these! Thanks for the great tutorial! Off to follow you every where now! You are the genius of industrial hacks! I would never in a million years think this up. I love that you beat the system! Vintage and look alike Vintage casters are out of this world expensive. 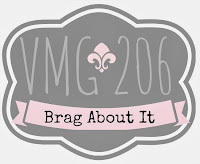 You are amazing and if you had your own show on HGTV I would definitely watch it! Thanks for sharing all of your awesome tips and tricks! 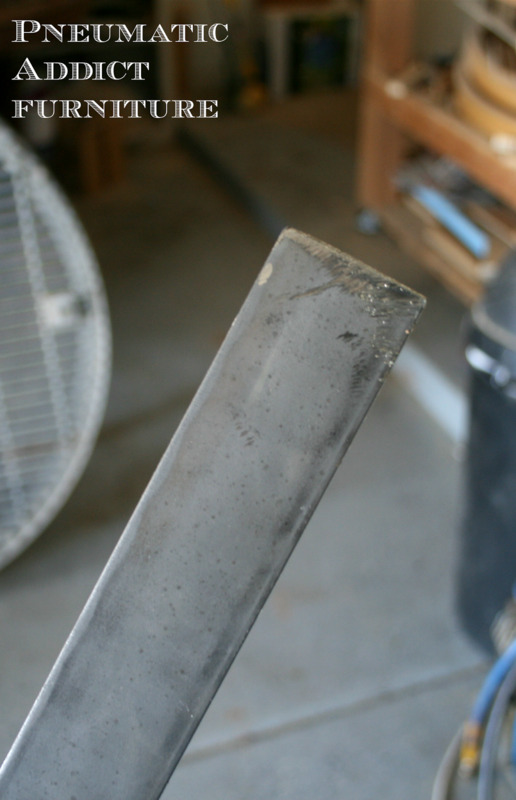 An idea.... if you could get your hands on a short length of rectangular tubing (say 5"x3"), you could cut a short section of that, then just trim off one edge. 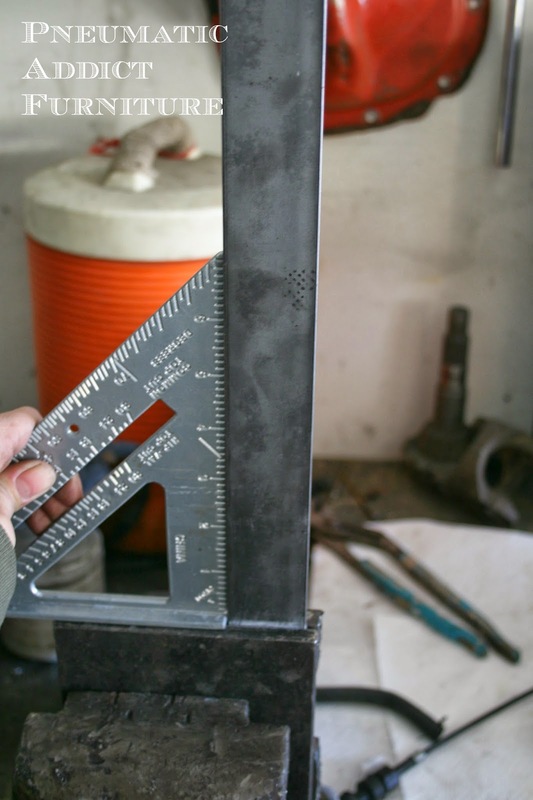 Additionally, you could cut them on an angle (~30deg) to make self aligning casters too. 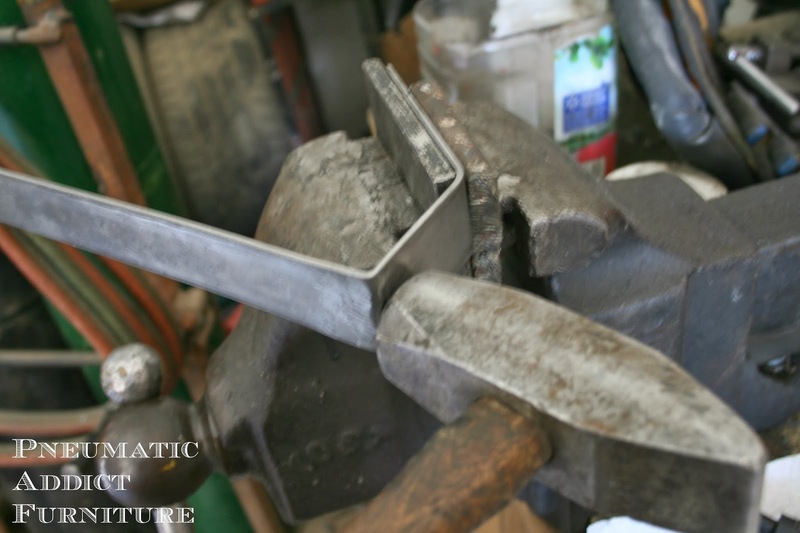 Making them from flat bar is a little more tricky, but could be done by either cutting and welding or a bit of blacksmithing to get everything bent in the right direction. Wow you made it look easy! How did you get the rusted finished look on these? Thank you! I brushed the metal then used a liquid patina http://www.sculptnouveau.com/Details.cfm?ProdID=71& . It pretty cool to watch the chemicals work and turn color before you eyes. Just remember to seal it once you're done. Great, you explained step by step and included each and every point. It seems you are strong in practical implementation of castor and wheels. I am working in an engineering industry and consulted Pioneer Castor for getting Industrial Casters , they did outstanding work for us. Great post -- thanks for sharing. We are getting ready to add some to a piece at home so this post was perfectly timed! Pinned. Such a great tutorial with great explanation, You have explained the everything behind each step. Thank you for this.